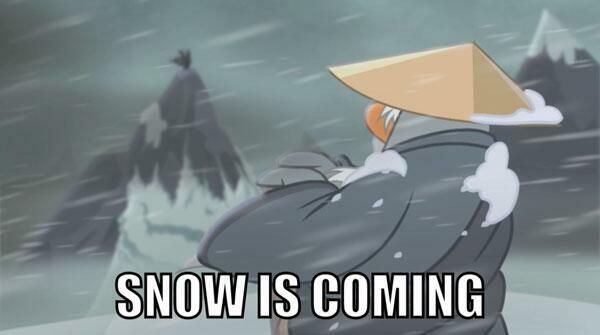 Card Jitsu Snow | Secret Penguin Cheats! Also the blog is almost to 10000 views! Is Tusk a Shadow Ninja? 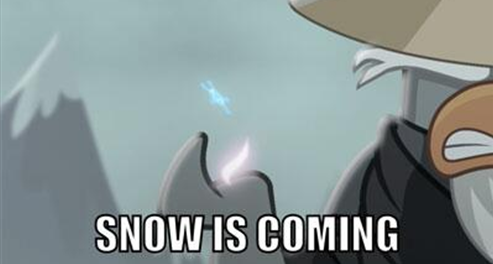 If Card Jitsu Shadow is real I think the story will continue. Update: I left the server, thanks for coming! Update: The party is starting now. Meet me at the Snow Dojo then lets get some stamps! Update: This post is now for the second party! Card Jitsu Snow came out and I wanted to post cheats and tips for it. So in this post I will tell you tips for beating Sly, Scrap, Tank, and Tusk and tips for Water Ninjas, Fire Ninjas, and Snow ninjas. The cheats are in a list so you can find them easier. Play as all ninjas once when you are new at the game so you can find out which one you are best at. The Water Ninja can take more hits then the Snow and Fire Ninjas. The Snow Ninja has long range but the attacks don’t do as much damage. When the Fire Ninja uses a power card on Sly, Scrap, Tank, or Tusk they skip their turn. Sly’s attacks do more damage from far away then up close. One Snow Ninja can take down two Tanks. The easiest way two beat Sly is as a water ninja. Scrap attacks the ninja closest to him. Scrap also attacks the weakest ninja. When he shoots ice icicles he has enough to attack two lanes of the board. Sensei will help out with a power card every three turns. Sensei has a pattern for power cards, it is: Fire, Water, Snow. When he makes a wave of ice, if you are behind someone it will do less damage to you. When you lose with other users, try to get in the middle and then when Sensei uses a snow power card it will heal you. That video showed all of the special dances you can do with the items you get in Card Jitsu Snow. Card Jitsu Shadow is Real! Some penguins say that Card Jitsu Shadow is fake, but it is not. Card Jitsu Shadow is really Card Jitsu. You get the Shadow ninja item after the you get the snow gem. I will update this post with a pic soon. And I was not posting that much because everyone was talking about the My Penguin app that I cannot get because I have Android, not iOS.